GOOD NEWS! Same Beautiful Rings - Discounted Price - Ships In Days Not Weeks! PLEASE NOTE PATINA COPPER CAN VARY IN APPEARANCE QUITE A BIT. As a matter of principle each of our rings is custom made to order, according to our clients size and designs specifications. Because of this, and high demand, our current lead time is 6-8 weeks on any commissioned ring. However, over the years many of our clients have ordered incorrect sizes and sent rings back for a new size. These "Homeless" rings are now available at a discounted rate & will ship within a week rather than 6-8 weeks!! Please note that if you include a ring engraving or box engraving with your order please keep in mind that may add a few days to the ship date. Don't love what you see? We love taking on custom orders! If you have your own idea for a design reach out to us in the contact section of the website. We would love to make something as unique and special as the love you have found. ADD A WARRANTY TO YOUR RING BELOW! We take pride in our craftsmanship and quality and do everything we can to make our rings as durable as possible. However, the materials we use are natural and thus can be vulnerable to water, chemicals and breakage from impact. 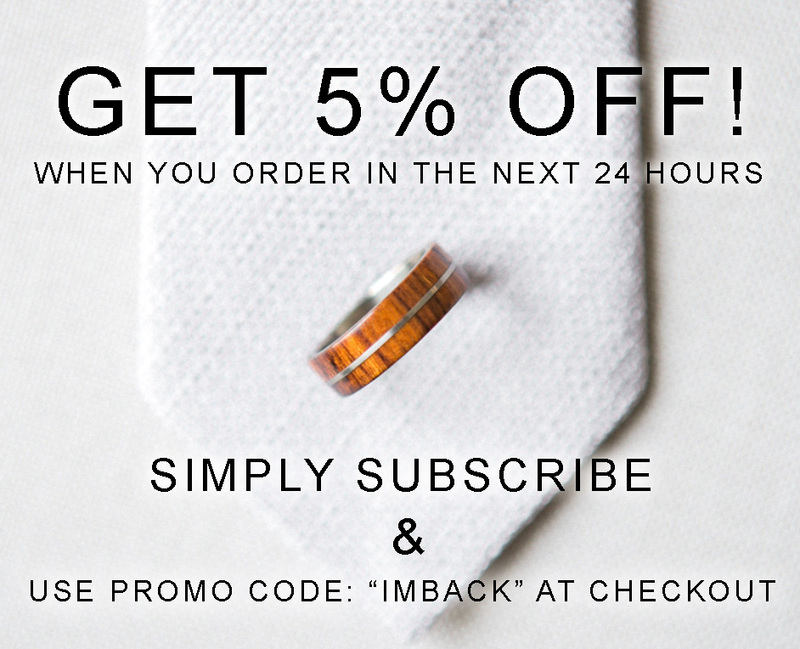 For this reason we are offering a lifetime-limited warranty, which will give you peace of mind and keep your handcrafted ring protected and looking great for years to come! *If you need to purchase two warranties, simply select the appropriate metal option and then add the quantity of “2” to your cart.